How did you start with cycling & Violet Crown in Austin? Well, if you want to know how I got into cycling, growing up we only ever had one car. In Austin, to get anywhere, since if you wanted to go to soccer practice or school, or anything like that, and someone had to work, you were out of luck. That’s how I got into cycling in general. We were always cyclists, as a family. But when you start looking at racing, specifically, I basically rode from where I live to soccer practice. I met cyclists. I met a guy named Craig Virr and Heidi Armstrong out on one of their easy rides, and they were chatting with me. I was on a hybrid and was passing them and all sorts of stuff. I was already into bikes. I started working at Ozone Bikes at the time. I had no idea about racing road, I was more into mountain biking side of it, which I got into through Ozone, and they said, “You know you are beating up roadies on a hybrid, you could start racing.” I think Craig raced with Whole Foods at the time, maybe Heidi raced Foods as well, I don’t remember. So they actually put me in touch with a guy named Don Hutchinson, who puts on Lago Vista. I remember riding my bike from where I lived in Hyde Park all the way down to where he lived on South First, for me it was a long way to go on my bike, and I went down there and spoke with Don. I went down there and gave him my $40 bucks and he gave me a jersey, and that was it, I was in a Whole Foods jersey. So, your first race was Lago Vista? The race was Lago Vista. My first team was Whole Foods. And that lasted for a few months. Started as a cat 5? Yeah, Cat 5. Very quickly from that though, I joined VC. You know, the big club in town. They had a good racing team. Whole Foods was a little more elite, you know? But Violet Crown had the numbers, you know. They had so many people and so much knowledge, and so I switched to them. That gave me Scott Alzer, Frank Kurzawa. There are so many guys I’m probably forgetting. It was probably around the same time I got a job at Freewheeling and there were a couple guys that raced with Violet Crown. So I switched to that team, and within a few months they created a Junior Team. And they created a Junior Team with James Karthauser as coach, and the whole… it’s hard to explain it… and I probably didn’t appreciate it as much as what I think they realized, but the whole club got behind me. So they went to the guys who raced Cat 2, Cat 3 and they had lost and they didn’t want me to be one of them. It almost felt like the Junior Team was more important than others. They poured everything in. I was 16. So, I’m pretty sure my first race was Violet Crown. And I’m pretty sure it was the State Time Trial Championship. And this is how much I didn’t know about anything, I actually entered into the wrong category. I entered into the 15-16 category, even though I was 16, my birthday month is close. I was actually supposed to be in the next category up, fortunately I was o.k., I won anyway, but that was my first real road race, a time trial. You were on a road bike? I was on a road bike. I didn’t have a time trial bike, I had road bike with clip-ons. From what I remember, that was my first actual race was with Violet Crown. From then on, the club just really got behind me. There was me, there was Aaron, Jay, Zack, Ryan, maybe one other guy, there were 4 or 5 of us, we would go all over the place to race. It seemed like everybody would go, at the time, and we really cleaned up. I raced from 16 to 18, maybe 15 to 18, and I went to Junior Nationals, raced there, I was in Regional Training Camp, and we would go to… James was always part of that. My mom drove me from Texas up to Oregon to do a race called Best of the West, and I raced that on my own and I did pretty well there, and it put me up in the standings for the Lance Armstrong Foundation series, it put me up in the overall for that. One of the… I think it was Stacy Liddle, she’s a masseuse who works on Shoal Creek, and she was a member of Violet Crown, and she actually gave me her air miles to fly to North Carolina to do another race that was part of the series, and she was like, “I want you to go…” It really was pretty easy, you know, I was just a kid who had never raced a bike before, I just had natural ability, and here I was, all these people were behind me, they had my back, they were like, “You’re going to Europe.” I didn’t know anything about Europe. I didn’t know anything about cycling. I did my first day of national racing actually for Walmart. It was a regional team, and I went over to England in Wales, actually. I raced in Violet Crown colors, and that was kind of like the opening of the door to where I am now. Now there’s lots of… it wasn’t funded by Violet Crown, but it was supported. They wanted me. And you know what? This is how bad my memory could be, they may very well could have been more than supported by them. I know they put a lot into that program. It was really good. Any of the guys you talk to now, you know like Ryan or Zack, Joey, they really had that amazing core to it. 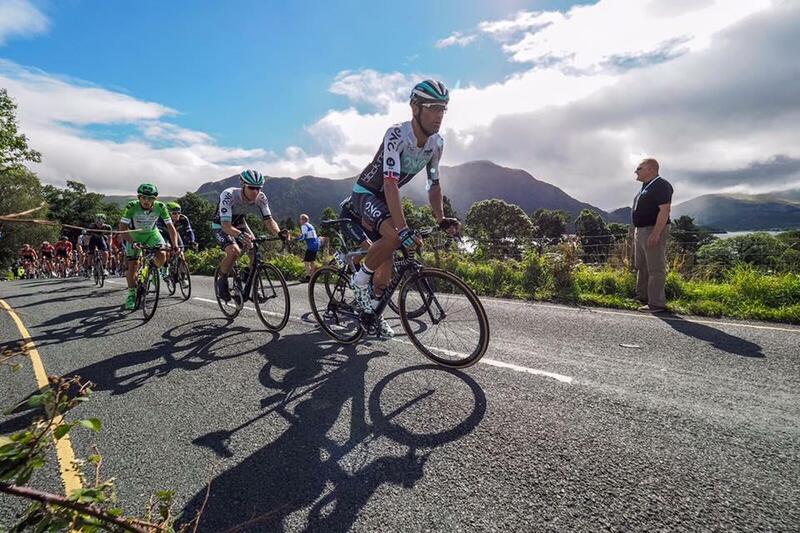 I raced in Wales for Violet Crown, and it was my opening to both British cycling and international cycling. When did you meet Nelo Breda? He worked at Eurosport, which was across the street from Freewheeling back in the ‘90s, I guess going into the 2000’s. I worked at a bike shop called Ozone Bikes, which unfortunately doesn’t exist any more. They closed just a couple of months ago. It’s really sad. It was a great shop. I worked there basically for bike parts. We had an amazing little mountain bike team, which consisted of me and best friend, Shane, who runs a bike shop out in Dripping Springs called Cain and Cycle. We had a two-man bike team that Ozone really put together. All the sponsors were like, Amy’s Ice cream and Manga Pizza. Amy’s Ice cream is still there, it’s amazing. We got free pizza and free ice cream, that was the extent of the sponsorship. We had these amazing bikes that were like Texas flags that were burnt into yellow paint. As I slowly got into road cycling, what I would do is I would go down to Freewheeling, and Eurosport, and I would basically just ask them every single question that I could possibly think of, and I’m sure they all got sick of me asking questions. In fact, Freewheeling gave me a job because they were sick of me asking questions. I got told that categorically. They said, “Look, just come work here. Then you can stop asking all these questions.” But Nelo worked across the street. He was a mechanic there, and anyone that’s met Nelo knows how much he has to talk about cycling. He loves cycling. It’s in his blood and he’s got so many stories about it. I didn’t know anything about the sport. My parents didn’t race, I didn’t know anyone who raced outside of the tiny few I just met, and the people I met at that point didn’t know the history of the sport. So I didn’t know what I was getting into. So I would just ask questions. I bought a Specialized Epic from Freewheeling. Just a frame. And I was putting like $10 a week down on it so I could get it. It was like $300, so it took me a whole summer to get that frame. So I’d go in there, put my $10 down, and ask them questions. And I’d basically do the same thing at Nelo’s, I’d just go in there and speak to Nelo because he has so many stories. I’d sit there and he’d build a wheel or whatever. Nelo came here from Brazil? Right? Yeah, and he has so many stories about cycling, and advice, and I’d just absorb it all. So that’s basically how I met Nelo. I stayed in Austin until I was 18, and then I went to Belgium. And I would come back every winter, and I would still do the same things. I’d go in and speak to Nelo, and every year I’d feel more pro. He still has your jerseys in the shop. Oh yeah. He’s one of the first people, when you talk about hanging something up somewhere. He’s one of the first people in Austin… I gave one to VC, when I won nationals, that was the first one that went out. I’m pretty sure that’s at Andy Austin’s house now, because he was the president when they moved out of Manga’s. I didn’t want it to go anywhere else. Nelo, he’s got… when I won Course of Africa. He was directly involved with my training, he set me up on the bike. He didn’t do my shoes but it was so much in the fitting, I’ve always gone to him for that, for the most part. You told me he was using basic tools? I told you that, yeah. That’s what I love about him, he’s held true to what he knows. He doesn’t try to go in and see what’s trendy, he knows what he knows, he’s very good at that, and I trust him. To change the topic a bit. Can you tell me more about European criteriums vs the American ones? Well, in Europe really criteriums are show races. They are generally, I hate to say it, but they’re all fixed. Chris Froome is never going to out-spring Peter Sagan in crit. 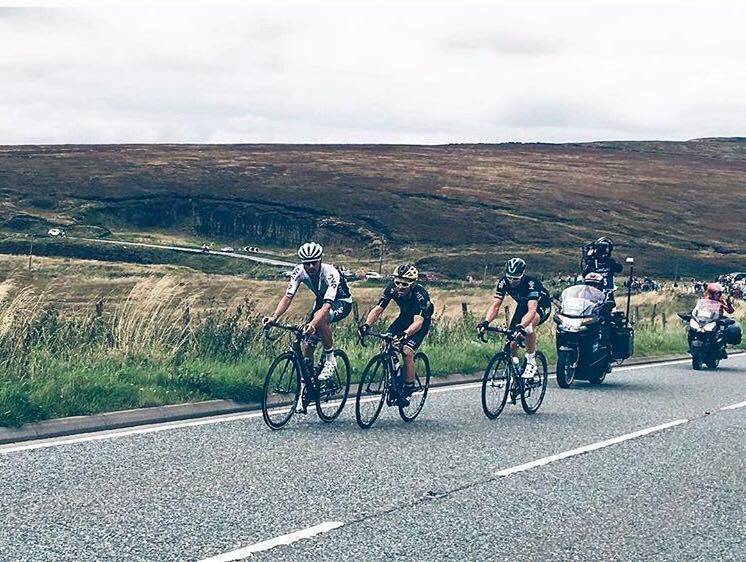 But when you compare British crits to American crits, they’re very, very different. Just by nature of the roads, they’re a lot tighter, twistier, more technical. I’m sure there are some exceptions to the rule here, you know if you’re racing in London where you’re in the banking district and there’s a massive four-corner crit, very much like America, and I’m sure there are criteriums up in Oklahoma that are twisty and hilly and technical, but as a general rule, the crits in England are twice as wide as this table, and lefts, rights, there are some that are 18 corners a lap, you very rarely find that in the U.S. There are big, wide, fast, corners where you sit in. The big lead-out trains. There’s no lead-out trains in England, bar one or two crits, there’s no lead-out train, it’s all basically war of attrition, and at the very end you’ve got like 8 guys left. It’s hard, man, at the front. I remember you also talking to me about different wheel choices. How in the United States you would choose more of the aero wheel and over in Europe you would want to choose something else. We would call them the floater course, you know, when you look at something like the Driveway, it’s a little bit technical, but there’s nothing… you never have to break. You can pretty much float the entire time. In England, you almost come to a dead stop, turn, up a climb, cobbles, you know, the next time almost a dead turn, so for me it was always important to choose the right kind of wheels. And because I’m not like a… I’m a strong rider, but I’m not like an incredibly punchy rider all the time, I’m not a sprinter. So I have to use my strengths to my advantage. If you think about an 8-corner crit, where you’re coming to a dead stop, and you’re doing 35 laps of it, those add up. Every time you accelerate, you have to accelerate a deep wheel, that’s heavier, they add up time after time. So I would always race in climbing wheels, because they’re light, they accelerate quicker, and I wasn’t so much worried about an aero advantage, because I could use my strength when that was necessary. But the constant re-acceleration is not my strong point. Same thing on a climb, when you see the real, pure climbers. I might be a climber here in Austin, but when you get on a 30-40 minute climb with Chambers Pitch, you can get these pure climbers that go and they slow down, then they go again. It’s the same kind of acceleration over and over again that I’m not great at. So it was very important to make the right wheel choices in those crits. Mainly because they were so technical. How do you sell England for the cyclists that like to travel and ride? What’s the culture like? It’s completely different depending on the area, down to the riding. I wouldn’t suggest riding in London to anyone. If you’re going to get a Barclays Bikes or “Borris Bikes”, which is like the Austin city bikes and ride around, that’s cool because you’re just upright and chillin’ and whatever. But I wouldn’t suggest you getting all suited up and lycra’d up zooming through London. It’s a great way to see the city on one of those public bikes, but if you were to go over there and take your bike or rent a bike, get outside of London to ride, once you get outside of the city it’s phenomenal. It’s beautiful. If you want to go down towards where the Olympics were, Box Hill and all that, you’re going to ride on lanes that are as wide as this table, and yes it’s going to be scary because you’ll forget which side of the road you’re supposed to be on. Cars are coming toward you, and cars are reversing back to make room for the other car… all sorts. When my friends do come over, and they want me to drive around, they want me to drive them down tiny lanes. They’re like, “take me on the smallest road you know.” That’s what they want, they want to see the small areas. It’s a completely different culture, and I kind of liken it a bit more to when you get way out of Austin. It can be super friendly, you can also find the odd person. Do you have that in England, where some people will just be angry with you, tell you just get out of the road? It’s the same everywhere in the world. You can be in France, and everyone thinks, you know, in France it’ll be amazing, you see Belgium on the bike mounts, and you’ll still get that person who doesn’t like bikes, for whatever reason it is. Maybe they were a failed cyclist themselves, or who knows. Doesn’t matter where you are in the world, you’re going to get it. But once you get out of the city, it’s actually beautiful. It might have something to do with the fact that it rains all the time, or a lot of the time, and it’s green and lush, and short steep climbs, and there’s history everywhere, old stone walls. It’s just a different world. The same way as if my friends come here and they ride down Fitzhugh, you know, you get out past 12, out to Wimberly, and it’s beautiful. It doesn’t matter if it’s gray and brown and dry, it’s still beautiful, and I have to stop sometimes to take photos of it. I think there are some good opportunities to go and see cycling in London itself, and still not make the trip about cycling, because if two of you are going to London you’d spend like $1200 bucks, you don’t want to make that trip just about cycling, I would think you’d want to see some of the city itself. 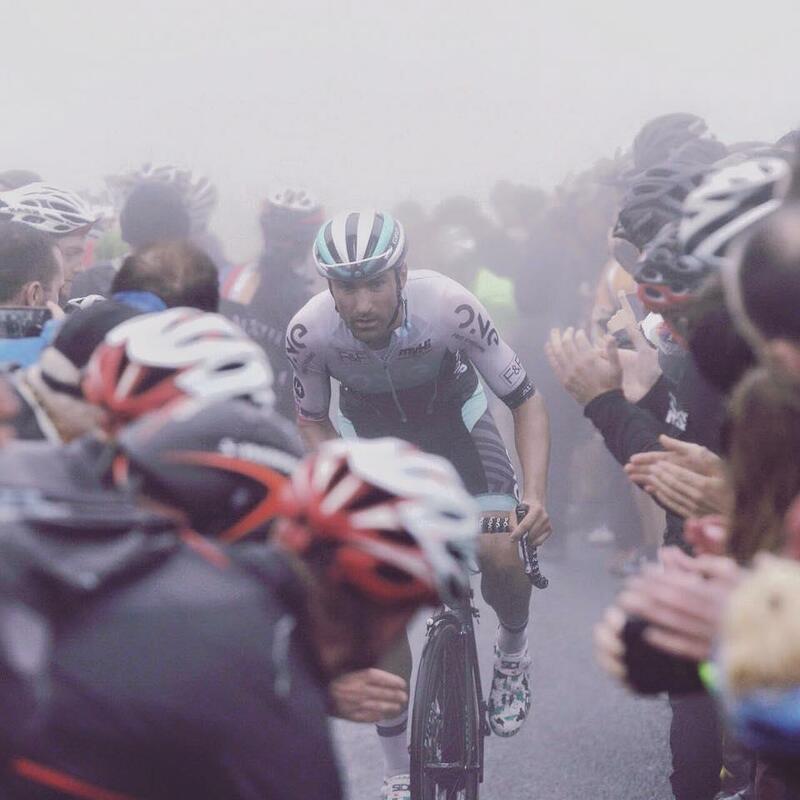 There’s like the London Nocturne, which is amazing to watch, they’re some of my favorite races to do, and they’re only an hour of crit at the center of London. It’s beautiful. There’s also the core series, which happens in the banking district of London, which is amazing. And then if you want to see a pro race, there’s the cyclocross scene, which is like the London Olympic legacy event. And if you base a trip on them, you can see a bit of racing, it’d be something kind of cool, something different. Alright, so may you tell us more about your first race in Belgium? 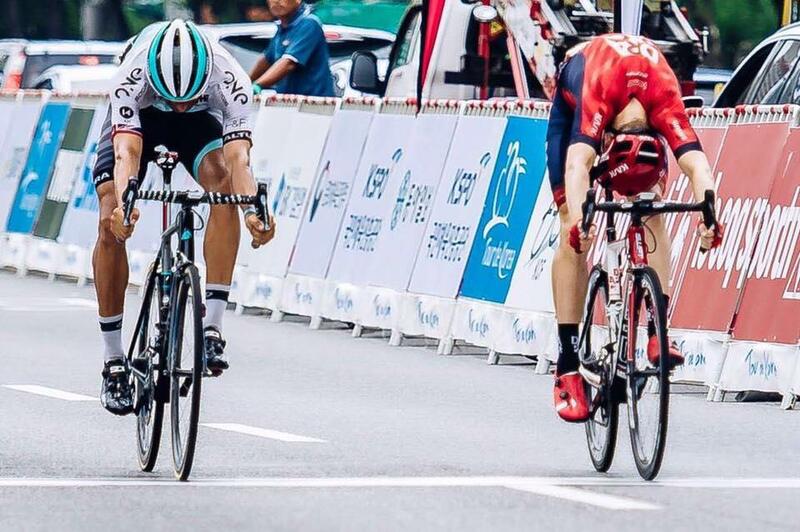 So that was a crit or a road race? Circuit race. So maybe 17 laps or 20 laps. But it plays like a road race? Yeah, like a road race. Kind of like Pace Bend, with some hills or flat? What happened to that team in Mexico? How long before the finish? There’s still probably some payout? Yeah. Money-wise, it was something. For me it was about moving forward. They weren’t big enough really for me to do that, which is why I never moved directly from that level to, like… you had Tom Boonen, similar age to me, that were winning those races as well, but they were also winning those one or two big races. Or in Tom Boonen’s case, several big races. Yeah. The U23 classics, so the young classics. I never did that. I would get close, or I’d be in that group, but I would never actually pull it off. I didn’t do that, I went on through another path, I went through cycling on the track, and saw what I could do there, and went on from that. On another topic. We don't have radios at the Driveway or RRs, so I wanted to ask your opinion about radios, and if you have any stories? Radios are good and bad. I think they serve a very good purpose. Sometimes they can make the racing boring, but to be honest, I think that the riders would still get the information anyway, so that whole argument can be debunked a little bit. You know, you’ve got seven riders and a director, or two directors or three, whatever it is, and everyone’s on the same channel, so anything you say on it gets spread to everyone. Everyone hears it, and they’re always listening for it. Some guys don’t hear anything unless you say their name, it’s like they’re daydreaming or something. But, in certain situations the director will tell you something, and you might have a chat with a rider, say, “look, I don’t feel that great, but I don’t want to tell the director that. So when it comes to that point, I’ll ride for you or you ride for me…” There are certain things that come up, and you’re the one on the bike, so you have to do whatever it is that feels right. Sometimes that means you do your thing. Do you have to report how you feel? Yeah, he was so strong that day, but didn’t ride to his strengths, and we kept attacking and bringing him back slowly, each time was slower. So we brought him back faster each time, but we’d do it slowly. And we’re coming in the last 5K at the end, I hear instantly, “you need to go. You need to attack. 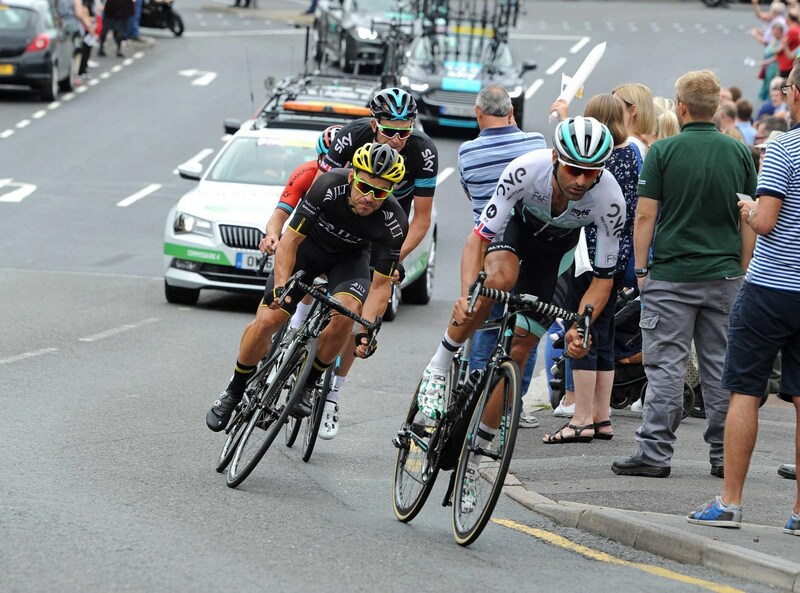 Just hit ‘em hard, it’s your only chance to get on the podium.” Froome is going to get dropped, he’s got two other guys. I took my earpiece out, and I was like, “I’ve got one shot here. This is going to be an end sprint.” Fortunately, Cain went out early. I didn’t get on his wheel at first, but I did get on eventually, I just took a breather, and then we hit it, crested it, and it was all descent at the finish, and I just had the speed and I won it. At the end of the day, it’s your bike race, and it doesn’t matter how you convey information to the manager, you’re the one who knows how you feel, and you know what you’ve got left in you. Radios are great, but you still have to ride the bike. They just relay information. 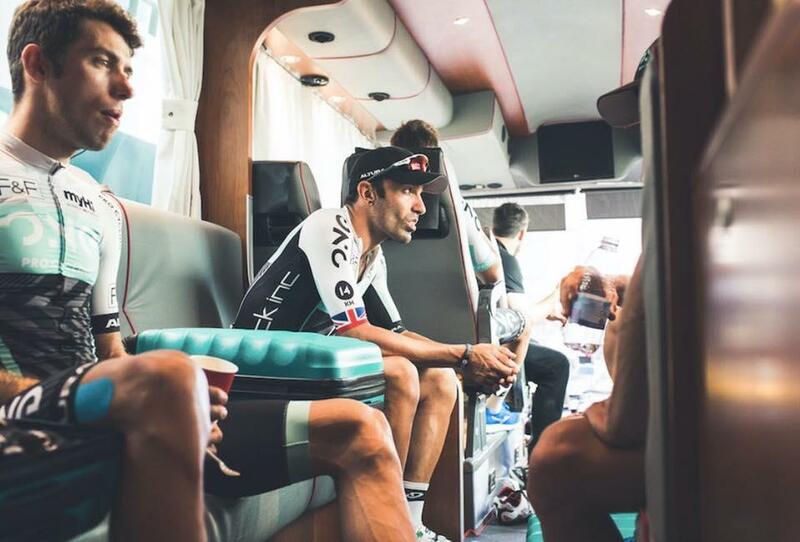 Kristian House (born 6 October 1979 in Canterbury, England) is a British racing cyclist who rode for the JLT–Condor team from 2008 to 2015, and joined ONE Pro Cycling in 2016. He was the 2009 British Road Race Champion. He has raced in Europe and Australia. He rode for Great Britain in UCI World Cup track events. In 2006 he rode for the Recycling.co.uk team and in 2007 he signed for Navigators Insurance. 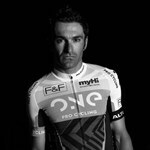 Kristian House was born in Britain but grew up and began racing in Austin, Texas as a junior. At 17 he began racing in Belgium. After representing Britain in road and track world championships, he concentrated on road-racing in 2006 and won ten races in Europe and Tasmania.